The daybreak start of the Vanderbilt Cup Races attracted thousands of adventurous men and women who streamed into Long Island from New York City. With hotels and roadhouses overflowing, they camped, gambled, drank, socialized, and established a tradition of revelry that became a hallmark of the event. Women made up approximately one-third of the spectators. In the custom of the day, the women wore their finest clothes to great public events including the Vanderbilt Cup Races. Here are several prominent women associated with the races. 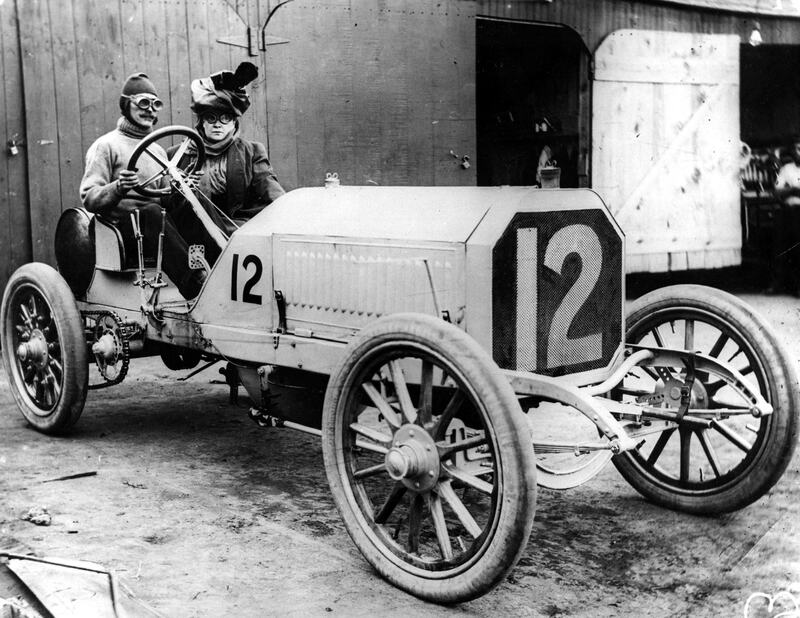 Prior to the 1905 Vanderbilt Cup Race, driver Joe Tracy gave Hearst journalist Ada Patterson a ride in the 90-hp Locomobile entry. Patterson was one of the “sob sister” reporters known for investigative exposes that led to reform of public institutions. William K. Vanderbilt Jr.'s sister Consuelo (center wearing the white blouse) attended the 1905 Vanderbilt Cup Race. Encouraged by her mother Alva Vanderbilt, Consuelo married England's Duke of Marlborough in 1895. Actress Elsie Janis may not have attended any of the races, but she was the star of the Broadway musical hit The Vanderbilt Cup in 1906. Here she posed with several Vanderbilt Cup Race drivers and mechanicians after a show. 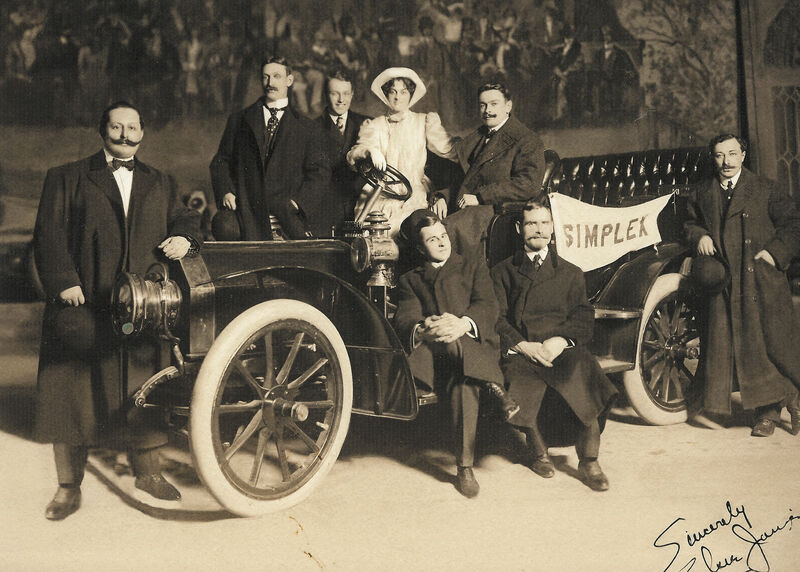 From left to right are: Ralph Mongini (driver in the 1905 and 1906 American trials); Walter Christie (driver in the 1905 and 1906 Vanderbilt Cup Races); George Robertson (driver in the 1905 American Elimination Trial and winner of the 1908 Vanderbilt Cup Race); Elsie Janis; Louis Wagner (driver in the 1905 Vanderbilt Cup Race and winner of the 1906 Vanderbilt Cup Race); on the running board, Al Poole (mechanician for Joe Tracy in the 1904,1905 and 1906 Vanderbilt Cup Races); Joe Tracy (driver in the 1904,1905 and 1906 Vanderbilt Cup Races) and, to the far right, Louis Vivet (mechanician for Louis Wagner in the winning 1906 Vanderbilt Cup Race car). 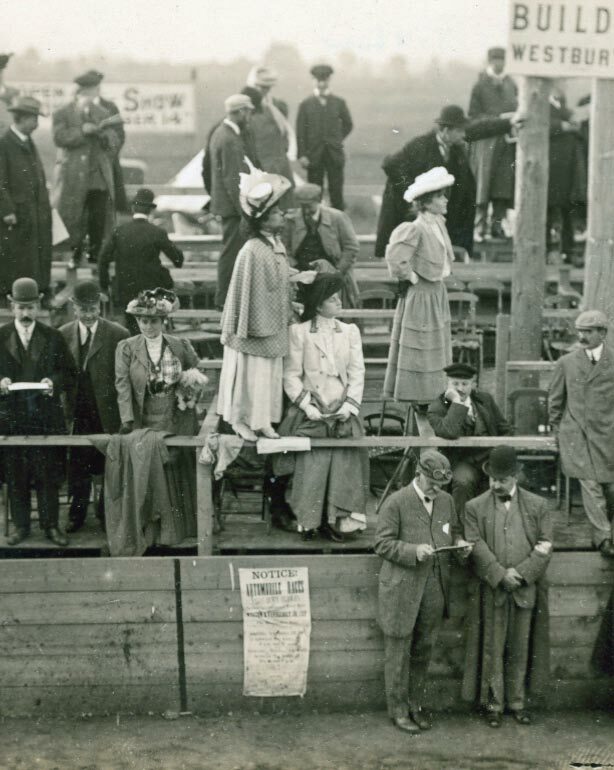 Willie K’s mother, Alva (second from left), and his step-father, O. H. P. Belmont (third from left) watched the race from their front-row box seats of the 1906 Vanderbilt Cup Race grandstand. Alva Vanderbilt Belmont was a regular attendee at her son’s races and always attracted visitors to her box seats just in front of the course.